瑞德蘭市位於南加州聖博納帝諾縣(San Bernardino), 是一個歷史悠久的城市, 成立於1888年, 離洛杉磯市以東60英哩. 市區內保存許多歷史建築以及博物館, 其中以當時以柳橙業發跡的富豪所建的豪宅群, 稱為橘子醬豪宅(Marmalade Mansions)為當地最知名景點. 另外,聖博納帝諾縣自然歷史博物館也是內陸地區最大的博物館. 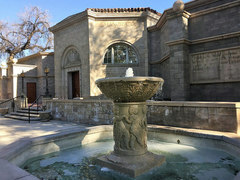 聖博納帝諾縣博物館(San Bernardino County Museum): 2024 Orange Tree Lane. 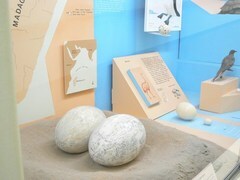 展示動物化石, 自然生態與人類歷史. 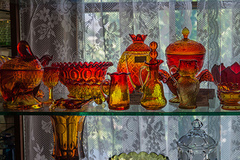 玻璃歷史博物館(Historical Glass Museum): 1157 Orange St.展示從19世紀到當代的美國製造玻璃. 林肯紀念堂(The Lincoln Memorial Shrine): 125 West Vine St. 建於1932年, 擁有密西西比河以西最多的林肯總統相關收藏. 金百利克利斯特莊園(Kimberly Crest House and Gardens): 1325 Prospect Dr. 建於1897年, 屬於法國城堡式建築, 屬於國家古蹟之一. 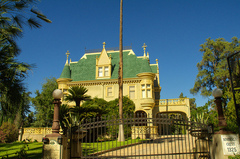 愛德華莊園(Edwards Mansion): 2064 Orange Tree Lane. 為瑞德蘭市創辦人之一的詹姆士愛德華所建, 建於1890年. 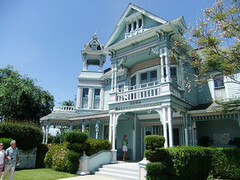 莫瑞莊園(Morey Mansion): 190 Terracina Blvd. 建於1890年, 為瑞德蘭市柳橙商人莫瑞所建. 巴頓學校(The Barton School House): 建於1877年, 為瑞德蘭市最老的建築. 史麥利圖書館(A.K. Smiley Public Library): 125 West Vine St. 屬於國家古蹟之一. 水花王國水上樂園(Splash Kingdom Waterpark): 1101 California St. 為內陸帝國地區(Inland Empire)最大的水上樂園,包括十四項滑水道和游泳池等設施. 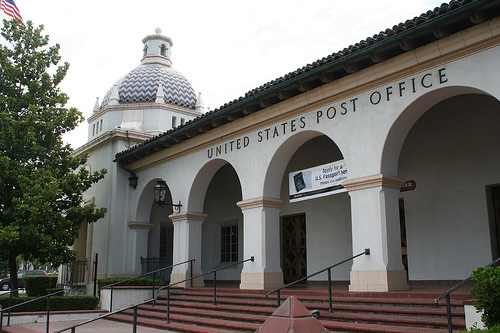 柑橘廣場(Citrus Plaza): 27460 Lugonia Ave.商場內有Barnes and Noble書局, Bed Bath & Beyon廚衛寢具百貨, 百貨公司Target和Kohl's,PETCO寵物百貨,Pier 1 Imports高級家居百貨和餐廳.